This is the KAH647PL food processor attachment for Kenwood Chef Titanium, Chef Sense, Cooking Chef and Major Titanium mixers. 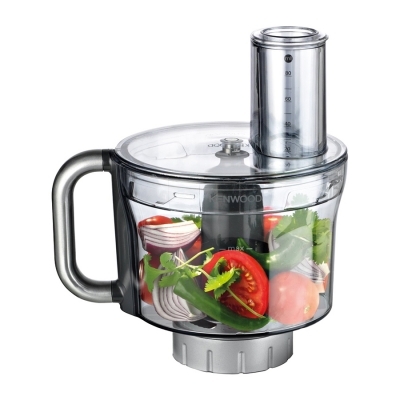 Turn your Kenwood mixer into a fully functional food processor with this handy attachment. The new design of food processor that fits every Kenwood Chef and Major kitchen machine (except not compatible with models A701 and A707).